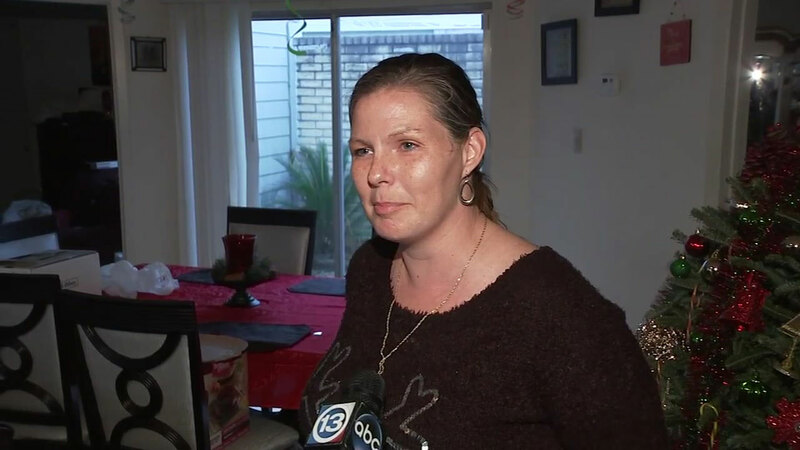 HOUSTON -- The woman who was caught on camera dragging her puppy by a leash in northwest Houston offered an apology for her actions Tuesday. The woman was seen by a neighbor on Broadleaf Drive. "I saw her pulling on something, yanking on something," said the neighbor who did not want to be identified. On Tuesday, the woman in the video, Tara, said her 7-week-old pit bull puppy is named Cookie. So many viewers were fired up after seeing a woman yanking a little pup over and over again during a walk. But now we're getting her side of the story. "She's (puppy) learning how to walk on a leash," said Tara. "I wasn't trying to you know like pull her and choke her. It's not like she was hanging, you know what I mean?" At times in the video, you can see the puppy being flung into the air and thrust forward before falling on the concrete or grass. "It got me upset, because I'm a pet owner myself," one neighbor said. At one point, the woman was seen picking up the pup. She walked with it in her arms, and then after a car drove by, she threw the puppy into the grass and started yanking it again by the neck. "She started to pee on me, and it like scared me at the same time," said Tara who admitted it wasn't the best time to leash train her dog. "Obviously she's too little right now. She did not want to do it. She's not ready to do it." Tara offered to show us her home where Cookie lives. There was a small soft bed with a chew toy and a cage where Cookie sleeps at night. Eyewitness News was able to make contact with the puppy. Cookie seemed to be unharmed and OK. In the meantime, the man who shot the video said he's filed a report with the Houston SPCA. No charges have been filed against Tara.